1. 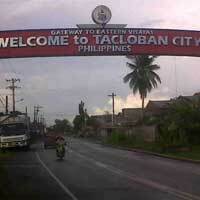 Cheap flights Clark - Tacloban: start at US $ 29. 2. Cheap flights Manila - Cebu: start at US $ 28. 3. Cheap flights Manila - Bacolod: start at US $ 29. Looking for a cheap flight from Manila to Tacloban (MNL-TAC)? Flights fares for Manila to Tacloban start at US $ 19.00. Find the best and cheapest flights on this route and other relevant information. Before you book a flight you can use Utiket to find the cheapest flights from Manila to Tacloban for PAL Express, Cebu Pacific Air, SEAir, Philippine Airlines, AirAsia Zest, SkyJet Air. All flight data are real-time and accurate. Utiket finds all the cheapest flights from Manila to Tacloban. On average the flight time between Manila and Tacloban is about 1 hr 5 min. There is no time difference between these cities. The timezone for both cities is: UTC +08:00. The local time now: 10:14:52. There are 3 airlines flying from Manila to Tacloban. Weekly there are 61 flights between Manila to Tacloban. The earliest flight from Manila to Tacloban is at 04:20. 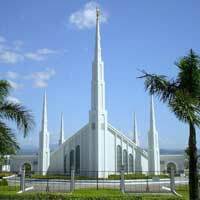 The cheapest price for flight from Manila Tacloban is USD 19.00. Daniel Z. Romualdez Airport, also simply known as DZR Airport, Tacloban Domestik or even Tacloban City Airport, is an airport which serves Tacloban in Leyte province, the Philippines and is, although small, the main gateway to Eastern Visayas region. The airport is the 8th busiest airport in the Philippines with over one million passengers a year. Find cheap flights to Tacloban or read more about Daniel Z. Romualdez Airport. Which airlines have direct flights between Manila - Tacloban? Need place to stay in Tacloban?